Superintendent Chris Le Fanu is working in British India in the 1920s. He has just returned to Madras from a stint in the Straits Settlement and finds that his enemy, the Inspector General Arthur Jepson, is attacking his work and his colleagues so vindictively that he seems unhinged. There are serious issues to deal with - Muslim riots and the death of policemen. He has personal problems too - his former housekeeper and lover, Ro McPherson, is gravely ill with typhoid - and his new love is en route from the Straits, but her ship has lost contact. He travels to Hyderabad several times to see her. In fact, Le Fanu travels a great deal around India. The impressions of different areas are very interesting. The distances, even by train, are considerable. Le Fanu manages to juggle all his problems though this is exhausting work. As attacks on Muslims increase and some are killed he must find the perpetrators. The complications of his private life add weight to his worries while he must also decide whether to move to one of the other police jobs offered to him. By the end of the book he has resolved some issues but not others, so a further volume of his adventures seems likely! This is the fourth story featuring Le Fanu in 1920s India during a period of great unrest. 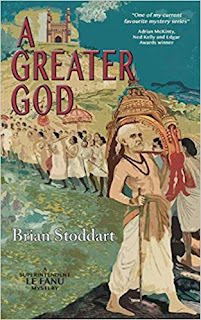 Brian Stoddart is a writer of fiction and non-fiction who is now based in Queenstown, New Zealand. 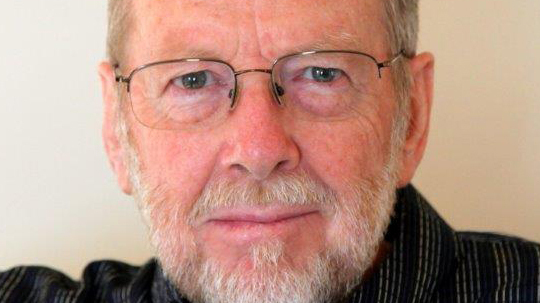 Born and educated a Kiwi he has worked around the world as an academic, university executive, aid and development consultant, broadcaster, commentator and blogger. He works as an international higher education consultant and has worked on programs in Cambodia, Lao PDR, Syria and Jordan as well as in the UK and USA. This work follows a successful career as university researcher, teacher and senior executive which culminated in a term as Vice-Chancellor and President of La Trobe University in Australia where he is now an Emeritus Professor. That academic career took him all over the world including long periods in India, Malaysia, Canada, the Caribbean, China and Southeast Asia. He is now also a crime novelist. A Madras Miasma was the first in a series of books set in 1920s Madras in India and featuring Superintendent Chris Le Fanu. The Pallampur Predicament was the second and A Straits Settlement has appeared in 2016 as the third. In his spare time, he enjoys photography, reading (especially crime fiction), travel to new places, and listening to music, especially gypsy jazz.